Kurt is a Senior Engineer at ARCCA specializing in cause and origin failure analysis, civil and geotechnical analysis, and condition assessments of residences, manufacturing facilities, commercial properties and office/government buildings. Kurt is also experienced in construction methodologies and defects, including foundation movement, structural failures, wind damage, impact damage, water intrusion, plumbing failures, soil heave and settlement, post-fire structural issues, hazardous waste site remediation, and vibration effects resulting from construction and earthquakes. In addition to earning his Master of Science in Geotechnical Engineering from San Jose State University, Kurt also holds a Bachelor in Civil Engineering from the University of Texas. He is a licensed Professional Engineer and has a General Contractor & Engineering Contractor License in CA. 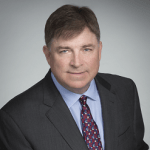 Kurt has testified in court, depositions and mediations and has been a designated expert in numerous cases.